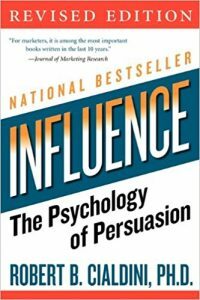 If you are looking for the best books on influence and persuasion, you have come to the right place. 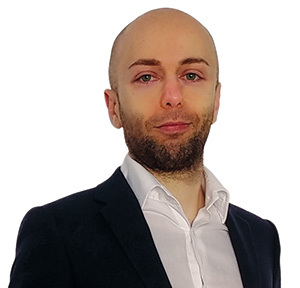 My credentials: I am a sociologist, a psychologist buff and member of the International Association of Applied Psychology and I focus on social dynamics. 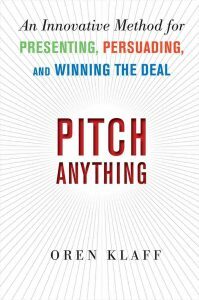 I have read a lot of books on sales, influence, and persuasion, and this is my current list of best persuasion books. Notice: I am referring to the course here, called “Straight Line Persuasion” and not the book. To be honest the course per is actually just OK. But there are a couple of key lessons on voice tonality that you don’t see in almost any other persuasion training, and those are really 24k golden nuggets. Jordan Belfort’s voice, on the overall, is not great, but he gets tonality really good. This is the equivalent of The Power Moves applied to VC pitching and persuasion. Oren Klaff indeed focuses on persuading through understanding power dynamics and coming across as the most powerful man in the room. At times I feel this attitude might be counterproductive unless you really know what you’re doing and you can counterbalance it with warmth, but power dynamics are certainly something you should learn to improve your persuasion skills. I wanted to put a good book on sales on this list as well. 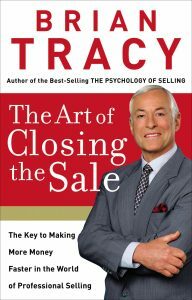 And The Art of Closing The Sale provides a good overview both in terms of mindsets and in terms of sales techniques. And now by friends, please roll out the red carpet and blow the trombones for… The Godfather of the influencing and persuasion books! And, between us, the Godfather of the manipulation books as well :). 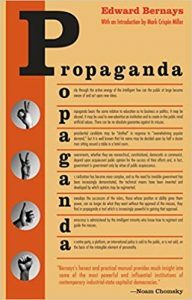 Propaganda is the equivalent of The Prince for power moves and The Art of War for strategy. And the most surprising thing? Some passages are so crazy actual in the Donal Trump era that you will go check the publication date just to be sure you picked the right book! 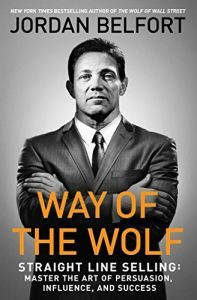 When it comes to the best persuasion books we might want to lend an ear to a guy who’s come from nothing and with no education and built an empire based on coaching and information. That guy is Tony Robbins and he knows a thing or two about making people follow him. Getting Past No is a truly underappreciated gem. Ury has written such “Getting to Yes” and “The Power of a Positive No“, which are equally powerful. 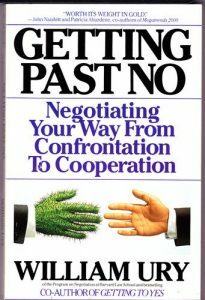 But what’s so special about Getting past No is that it focuses on difficult negotiation, difficult people and changing people’s mind when things seem to be escalating and getting stuck. And you want some of those “difficult people’s skills” in life :). This is the sequel of Influence, but it might have actually ben its pre-quel. 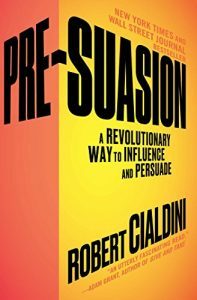 Pre-suasion focuses on the science of priming (which several studies have been calling into question by the way). However, priming is likely very much real, and Pre-Suasion will teach a thing or two on preparing the ground for your persuasions. And if you need any, then I will presuppose that it’s the first time your are researching information on influencing and persuasion :). Influence is possibly the biggest seller of all the persuasion books, and for good reasons. 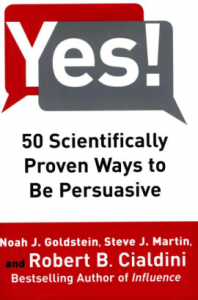 A litany of persuasion books that came after it either reference or basically paraphrase Cialdini’s main 6 principles. 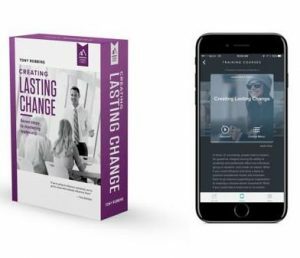 This is a bit like Influence expanded version, providing more examples and more researches to give supercharge your power of changing people’s minds (and making more sales, as it adds quite a bit of marketing as well). Whaaat, you might be wondering? A book I have never heard before -or have barely heard of- before “Influence” and “How to Win Friends” -which isn’t even in the list BTW-? One of the advantages for you, my dear readers, is that since I read so much I can bring to you a few lesser known books which are actually much better than the more well-known ones. But I’m not sure Kolenda will stay for long out of the big names limelight because both his work, hi, website and his courses are just.. Wow. 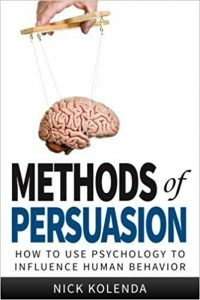 And when it comes to psychology applied to persuasion, Nick Kolenda takes the crown on this best persuasion books list. The Social Animal: Albeit this is a social psychology book for universities and not a book on influencing, it talks at length on influence and changing people’s minds and opinions. 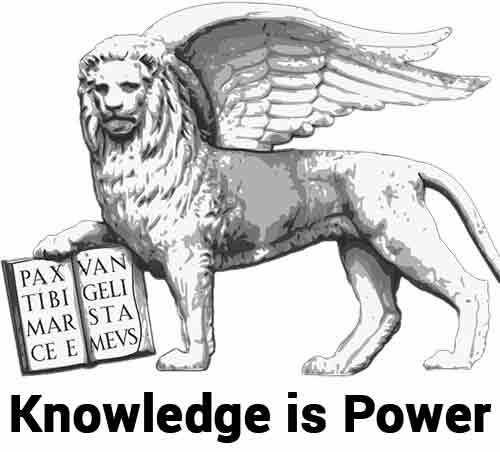 Being based all on science and research makes it one of the best resource available. The Power to Influence: A more sales-oriented program from Tony Robbins. And we all know how good of a sales guy that guy is :).